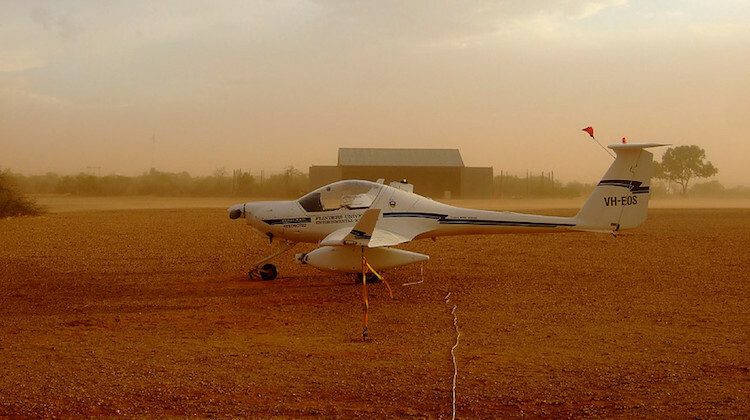 Research organisation Airborne Research Australia (ARA) has received a $100,000 donation from the Hackett Foundation to continue its work collecting data of the earth’s atmostphere. It is the second time the Hackett Foundation has supported South Australian-based ARA. In 2017, the Foundation donated $1 million to the organisation, allowing it to become an independent, not-for-profit company. ARA, which was set up in 1966 as a research institute at Flinders University, uses two single-engine Diamond Aircraft HK36TTC-ECO Dimonas fitted with sensors and other equipment to record observations such as the amount of methane or fine particles in the atmosphere, as well as collect images of remote sites. Hackett Foundation principal Simon Hackett said ARA provided reliable observations of Australia’s changing climate. “This recent donation demonstrates our support for ARA’s work as it continues on the path to self-sufficiency,” Hackett said in a statement on Monday. ARA director Andrew McGrath said the organisation was incredibly grateful to the Hackett Foundation for its support to continue its research as it worked to establish itself as fully self-funding. “We do everything from measuring volcanic ash in the air for airline safety to investigating how ultrafine particles released by modern coal-fired power plants can push rain out to sea,” Dr McGrath said in a statement. The two purpose-built HK36TTC-ECO Dimonas can carry 150kg of instruments in four underwing pods and pylons, as well as in the cockpit, according to the ARA website. The aircraft have a typical cruising speed of between 40kn and 108kn, a typical range of 540nm and are flown at an altitude anywhere between 16ft and 23,000ft. There are usually two people on board. VIDEO: A look at the Airborne Research Australia HK36TTC ECO-Dimona aircraft flying over the Simpson Desert from Jorg Hacker’s Vimeo page. Prof Hacker is the ARA chief scientist.